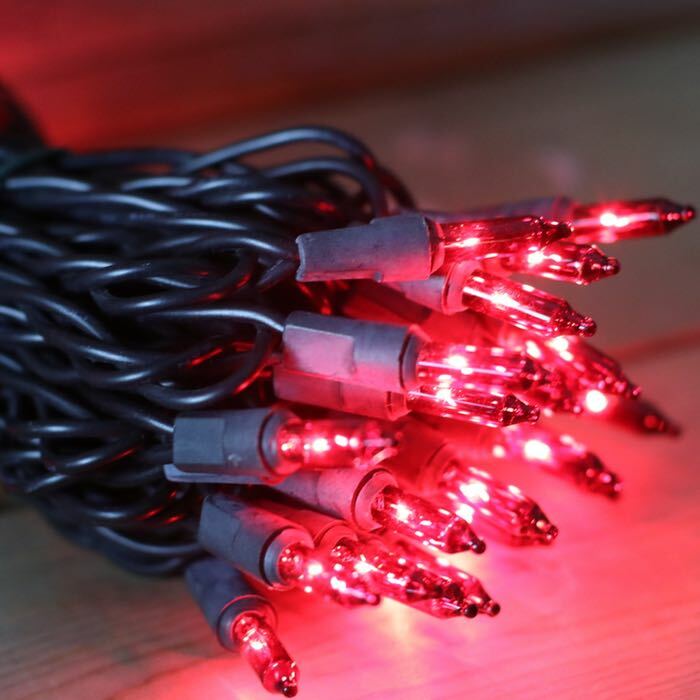 If you are looking for something just a bit different, we suggest these red Christmas lights on black wire. Do you decorate a black tree for Christmas? The black wire on these lights blends in beautifully with the dark branches. Each light string is constructed of 22 gauge wire, with 50 lenses to the string. The 4 inch spacing is ideal for wrapping trees, garland and wreaths. Imagine these lights creating the horror effect at a haunted house. EEK! Send us photos of how you are using these great lights! Plug all of our products into surge protectors and for outdoor applications, make sure they are rated appropriately. I needed a black stringed set for a black wreath. These were perfect! Nice deep red color as well.